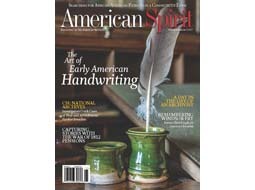 Our cover story, “The Art of Early American Handwriting,” details the history of early American script and offers a few tricks to decode historical handwriting—the most important rule? Don’t assume anything! A feature on the War of 1812 Pensions shows how these vital records provide a direct link to the past and what several organizations including Ancestry, the National Archives and Fold3 are doing to help preserve and digitize them. To round out the issue, we also spend a day with an Archivist at the University of Alabama; feature Windsor Fry, a former slave who participated in at least 10 revolutionary battles; and learn all about the hidden world of archive thefts, including crooked collectors and the hard-working team that prevents such breaches and protects these important resources. Our very own Digital Magazine Archive is one such important resource, flush with information about the National Society's rich heritage, and also serving as a historical record. 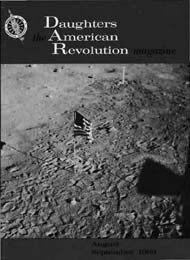 Spanning the period from 1892 to 2013, the Digital Magazine Archive grants access to more than 100 years of history right at your fingertips! I encourage everyone to explore the archive. You might be surprised what you find: the death of President McKinley; the sinking of the Titanic; the moon landing—history as viewed and interpreted by fellow Daughters. While reading through back issues, you may even notice some repetition. For example, we printed one of Julia Ward Howe’s speeches, not once, but twice! You can find her January 7, 1893, address in both the January 1894 American Monthly, and again in the January 1968 issue of DAR Magazine. Perhaps her speech will add some context when you read about her in the upcoming March/April 2017 American Spirit! To purchase this issue, you may call our toll-free number at 1 (866) 327–6242. 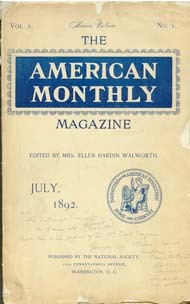 You can also subscribe to American Spirit for a full year by visiting our website at www.dar.org/magazine. Have you explored the Digital Magazine Archive? Check it out here: http://services.dar.org/members/magazine_archive/. Write to us at americanspirit@dar.org and let us know what you think! We’d love to hear from you.